This technic makes auto scanner processing couse of turn on, data collecting, operation and analysis more effectively. 1. JBT-CS538D not only has great functions as other JBT-CS series auto scanners including Asian, European and American auto diagnosis, but also attains original manufacture level for more than 30 different kinds of auto. And its diagnostic softwares has been improved step by step. 2. Supporting V W/ A U D I, mit subishi, Ni ssan, Hyun dai, Ki a, Toy ota, Sub aru key coding functions. 4. JBT gets supports from DE LPH I AND B O S CH manufacture exelusively. 5. 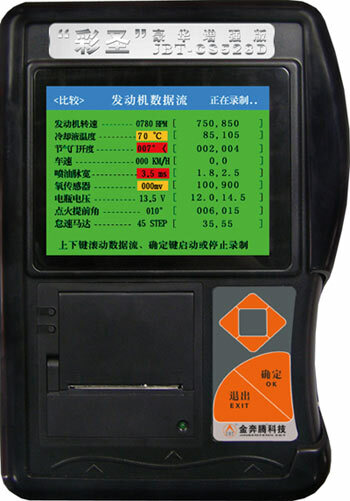 JBT-cs 538D is the best auto scanner which could diagnose most auto with CANBUS protocol including V -W (CANBUS), A -U -D- I (CANBUS), mer cedes (CANBUS), , B M W(CANBUS), , FOR -D(CANBUS), , G- M(CANBUS), , TOY -O- TA(CANBUS), , MA -ZDA(CANBUS), , MIT -SUB -ISH (CANBUS). *diagnostic software of JBT-CS538d attains high level for MERCEDES and BM-W, A U DI and Asian auto. JBT-CS538D owns special functions of supporting personality operation surface, date streem could be saved and printed, warning -color display, self-learning judge and value-added.